Microsoft’s Windows Phone might have not yet gotten the traction it needs to compete with the big two iOS and Android, but it definitely caught developers’ attention. The Marketplace, Windows Phone’s app catalog, now consists of over 70,000 applications and is growing by a healthy 300 new apps added every day. This is also the first time Microsoft has officially used its channels to announce the achievement, so obviously the company is proud with developer engagement. That’s to a large part due to Microsoft taking apps seriously from the very start when it offered incentives to some software companies to port apps and code for Windows Phone. 70,000 itself can’t match the hundreds of thousands of applications available on both Android and iOS, but we’d argue that while the total number has some significance, after you’ve got some healthy competition the actualy figures give away their place to the quality of the applications. Another important development for Microsoft’s Windows Phone is its expansion to 28 more countries, adding to the existing 63 regional markets. So far, our initial impression of the Marketplace is that it’s got almost all of the essential apps present on other platforms, and while it might be a bit behind in certain areas, the real problem might be the slightly bigger prices on some applications. 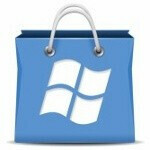 What are your impressions from the Marketplace and app shopping on Windows Phone in general? Sound off in the comments below. I'm really hoping WP will become more popular when Win8 comes out. Hope it will knock some sence into Google. Thumbs up if you would move to windows phone if they had more apps at lower prices. I would move today, at full retail, if the ecosystem was there. I love android, but WP is a better OS than any out there IMHO. But w-t-f is a smart phone if all you get is 3$ angry birds (which is now old) and MS Office. To me it's not the number of Apps that count it's the ones that really matter and work well that counts Microsoft has to get the knowledge of what are the most sought after Apps on Android and Apple IOS AND THEN get the developers who made them to make a version for Windows 7 series smart phones and the coming windows 8 smart phones later this year.